Janaka (also spelled Janak; Nepali: जनक, Sanskrit: जनक[note 1]) is the name used to refer to the kings of Videha and is the ancestor of Maithili speaking people's. 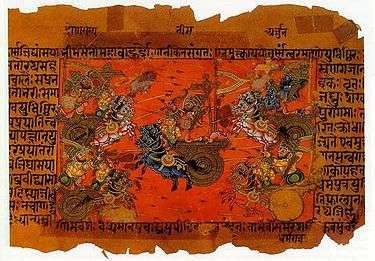 The Videha (or Mithila) kingdom was located between east of Gandaki River, west of Koshi River, north of Ganga river and south of Ancient Nepal Himalayas. The region is now divided between present day Nepalese state of Mithila and Indian state of Bihar. 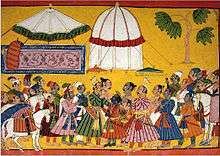 Janaka Dynasty ruled the Videha kingdom from their capital, Mithila, in modern days known as Janakpur metropolitan of Nepal. A certain King Janaka, who probably reigned during the 7th century BCE, is mentioned in the late Vedic literature as a great philosopher-king. A King Janaka is also mentioned in the Ramayana epic. 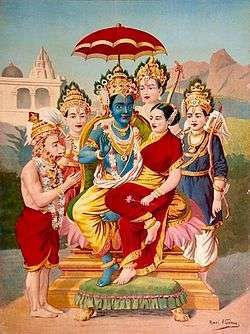 Janaka is the foster father of Sita, the heroine of the hindu epic, Rmayana. His conversation with Ashtavakra is recorded as Ashtavakra Gita, where in he is depicted as one realised and this tested by the sage Ashtavakra. Many spiritual teachers have referred to this writing often translating and deducing its meaning. 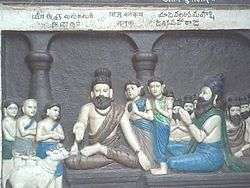 Late Vedic literature such as Shatapatha Brahmana and Brihadaranyaka Upanishad mention a certain King Janaka (c. 7th century BCE) as a great philosopher-king of Videha, renowned for his patronage of Vedic culture and philosophy and whose court was an intellectual center for Brahmin sages such as Yajnavalkya. Under his reign, Videha became a dominant political and cultural center of the Indian subcontinent.